Yay! I managed to get two pieces ready for a show in one week. At least graduate school has me well-practiced at getting no sleep. So…my latest quandary? I can’t figure out how to hang these things. 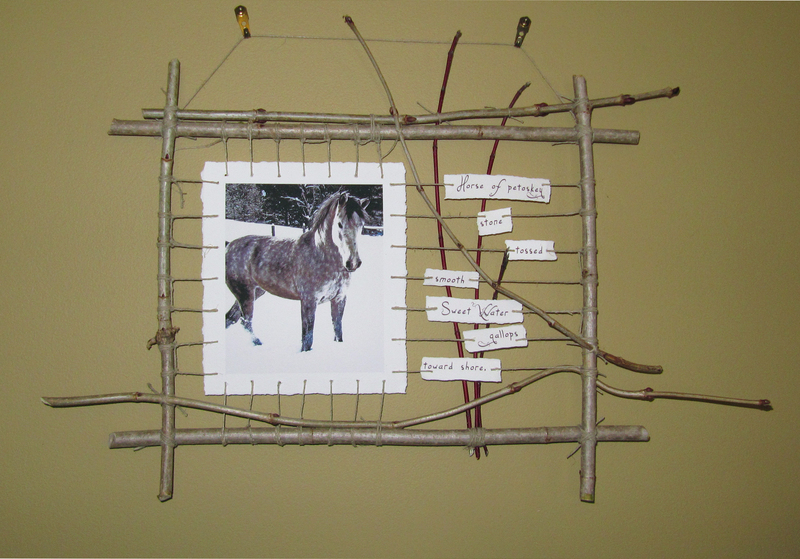 Clearly the Asian scroll method used on Horse Haiku is not going to work. It looks like a house: horse house. Part of my grand scheme to buck the system is to manipulate “them” into hanging it in a particular way. I’ve yet to see any gallery that actually knows how to professionally hang a picture (No, just banging whatever sharp metal apparatus that’s handy into the wall is not how it’s done.). I also have this terrible history of being hung in the world’s worst places: usually the bathroom. At least I have a captive audience for a few minutes, right? It’s not that I feel my work is inferior. It’s just that my bold, black woodcuts in their handmade, cherry-wood frames stick out like a sore thumb amongst the glossy black metal frames and colorfully glazed landscapes. This oddly shaped, impossible-to-hang latest work is sure to get me a spot in an out-of-the-way corner or the bathroom but at least I know this ahead of time. 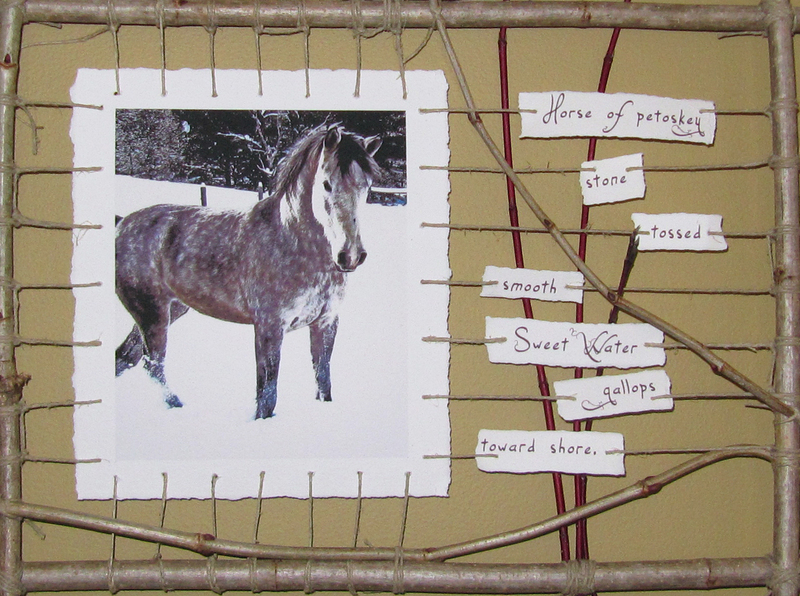 This entry was posted in creativity, photography, Poetry and tagged Haiku, Horses, winter. Bookmark the permalink. I really like this and it would not end up in MY bathroom.